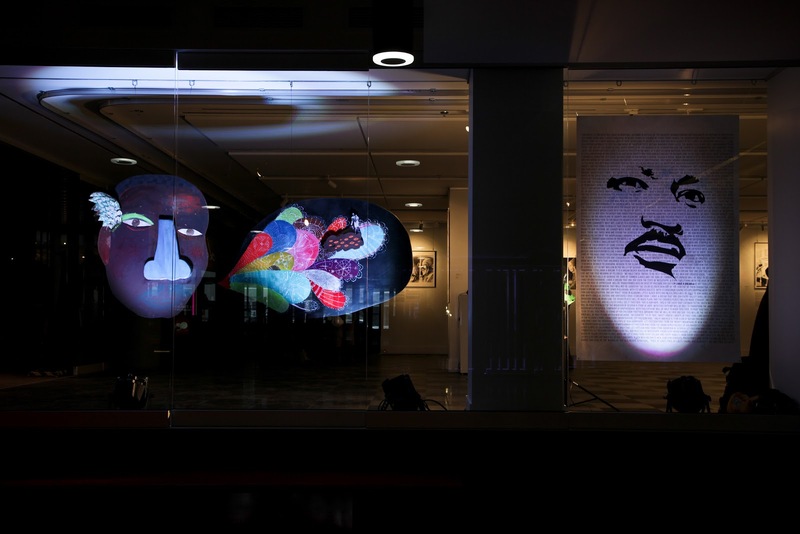 Some images from the MLK50 exhibition which was in Place des Arts gallery, Montreal from February 5 to 18, 2013. My piece was called The Conversation. 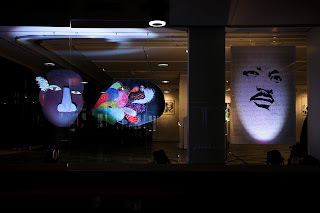 Curated by KNGFU members, Vanessa Vaughan & Karl-André St-Victor MLK50 was an exhibit that looked at the aftermath of Dr. Martin Luther King Jr.'s iconic I have a dream speech of 1963. Six artists from the US and Canada were invited to submit works and these were shown in conjunction with photos and recordings from the Dr. Martin Luther King Jr. archive which have never been seen before in Canada. The artists included: Stacey Tyrell, Carolyn Jean Martin, Daniel Iregui, Jamel Shabazz, Helmer and myself. My piece The Conversation is a sculptural work created from modest materials including plywood, latex paint, chalk and used clothing. These carefully chosen commonplace materials pay homage to King's use of philosophy, non-violent action and accessible language to encourage all members of society to participate in creating a future that recognises the inherent right for all human beings to be treated with equality and respect. I designed the Conversation to work as a welcoming beacon for Place des Arts passersby. Warm and strange I hoped that it would encourage people to come into the exhibition space and spend time with the past and present making of American black history. Mixed materials: Russian birch plywood, pine, felt, latex paint, chalk, used clothing, glue, milk paint, acrylic paint, blackboard paint, nails, Japanese paper, Indian ink, gold leaf, sequins, chalk, pigment, beeswax Photography by Heetesh Patel. Casteliers de Montréal: PETIT JÉSUS, OÙ ES-TU? In November 2012 there was a contest to make a new Jesus puppet for Les Casteliers' collection of family members of the crèche. I made a brown Jesus of course. 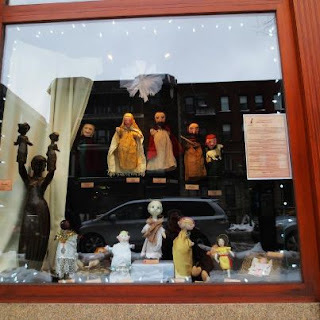 Here he is amongst the others in the window of Le Théâtre Outremont. 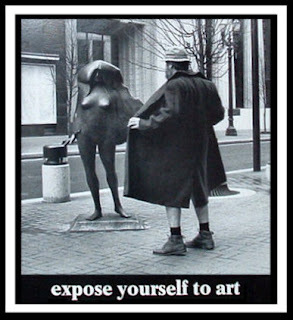 An infamous poster that I grew up with, both at home and revisited at the Gwartzman's art supply store on Spadina, Toronto.